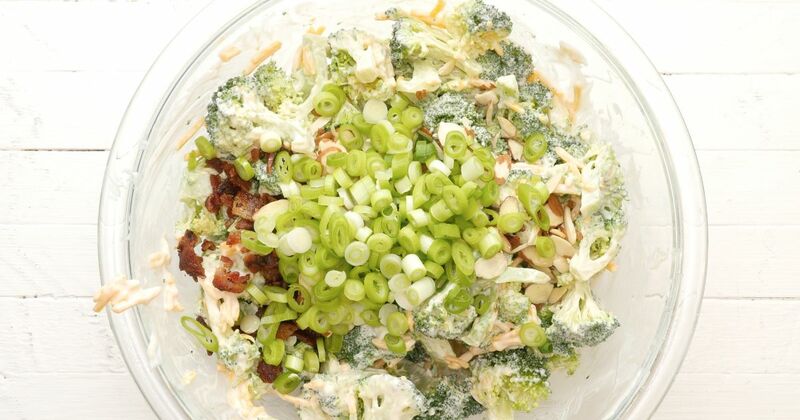 Broccoli and cheddar cheese already go together perfectly in soup, so why not in a salad? 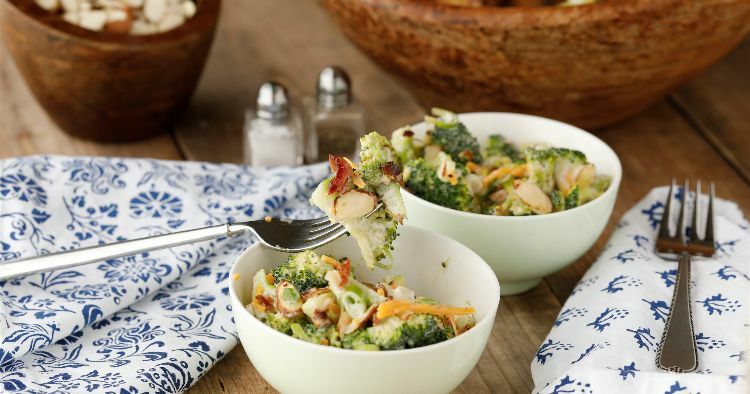 This cold summer salad pairs barely steamed broccoli with cheddar, bacon, onion and almonds for a recipe you're sure to love. The recipe below is ideal for outdoor barbecues, a party – or pretty much any meal. The broccoli in this salad can be served raw, if you prefer. In that case, cut the broccoli smaller, as for a slaw. You can also purchase bags of broccoli slaw to make your life even easier. Place the broccoli florets in a bowl, cover with plastic wrap and microwave for about 2 to 3 minutes, until bright green. Run under cold running water to cool, dry well and set aside. Combine the mayonnaise, cheddar and red wine vinegar in a bowl. Mix together until smooth. Add the broccoli and toss to coat with the dressing. Add the bacon, scallions and almonds. Toss to coat one last time.